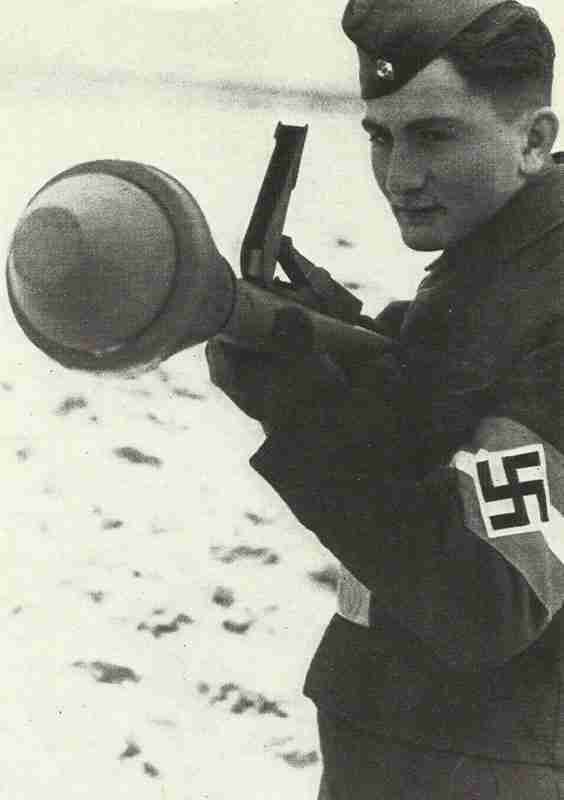 In a military training camp of the Air Force Hitler Youth boys are instructed in the use of the Panzerfaust (Picture from this day). Poland: Rokossovsky captures Torun after 6-day siege. Alsace: US 7th Army crosses river Moder.